Living in California comes with several benefits, one of which is being able to ditch the city and get in touch with nature via an extremely short drive. From the luxury apartments in Riverside, CA, there’s one unique destination that every local should visit at least once. 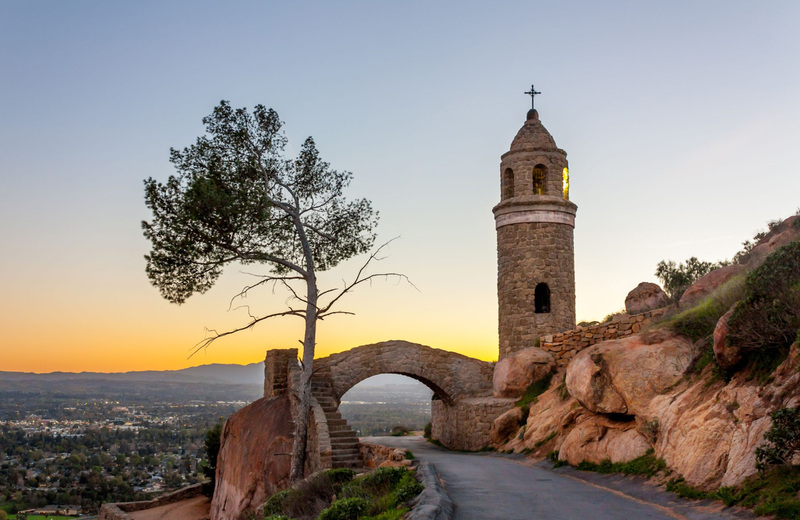 Mount Rubidoux Park is easily the most popular trail in the area with several historic landmarks, breathtaking 360-degree views, and a smooth road that leads all the way to the top. With a rich history and plenty to explore, here are some pro tips when planning your excursion to this mountain site. There are various ways to plot your course as you climb Mount Rubidoux to reach the historic cross at the top. The most popular are the paved routes, providing a leisurely walk ranging from 3-4 miles with little in the way of obstacles to traverse. Most of these trails are easily accessible from Ryan Bonominio Park, the same place you’ll find parking for your trip. Simply walk up San Andreas Avenue, then Glenwood Drive, and you’re right there. These paved roads are highly recommended if this is your first trip to the mountain or if you’re an inexperienced hiker. The former allows you to take in the sights as you make your ascent, while the latter is just the safer way to go. You can also find a more trail-like experience by parking at Carlson Dog Park on the north side of the mountain. This leads to both the Santa Ana River trail and the stone stairs. Both options lead to the top, so take your pick. Whatever you do, take advantage of the official parking areas for Mount Rubidoux. The area is heavily monitored, and you will end up with a ticket or even towed otherwise. Nothing could put a bigger damper on the day. Once you reach the trailhead (marked by a monument gate) there are a few signs that welcome you to the park. Take a moment to read them. They contain a list of everything the park prohibits, which could once again lead to a fine you don’t want. Some trails up Mount Rubidoux are long and winding, while others are nearly a straight shot up the side of the mountain. There is no one correct way to reach the summit, so stick with your chosen trail and continue heading upward. If you’re unsatisfied with your pick, there are several points where you can change trails. The sides of the mountain are very steep with trails seemingly cut into the side of the Earth. Large rocks dot these inclines, making it look like a remote wilderness hike. Stay on the path to avoid loosing your footing. While you can balance on the steep sides, it’s more enjoyable to leisurely walk and take everything in as you go. If you did take one of the dirt trails, you will eventually end up back on the paved road. Once again, keep heading up and you’ll eventually come across the Ben Lewis Bridge. As you pass under this wooden and steel structure, take a moment to appreciate the craftsmanship in both the bridge itself and the stonework supporting it. Hint: Now is a great time for an Instagram photo. You’ll come across a bench situated for a perfect view of the sunset before sighting the cross as you wrap around another rocky surface on the mountain’s side. Next, you’ll find Peace Tower and Friendship Bridge. Each were built in honor of Frank Miller, the person behind all of the man-made features on Mount Rubidoux, back in 1925. If you’re running out of breath at this point, there are concrete steps to the left that act as a shortcut to the top. Otherwise, head under Friendship Bridge and snap a picture of the historic Peace Tower. After one more turn around the mountain, you’re at the top. The top of Mount Rubidoux is a large gathering area that held the oldest Easter Sunrise Service in the United States and continues to do so today. Over 30,000 people gathered on this site in 1926, if you can believe it. The trail moves past the flag on the north end towards the iconic cross on the south end. Concrete stairs take you right up to the base of the cross, which holds a few historic plaques at its base (one of which was dedicated by President Taft in 1909). The original plaque was dedicated in 1907 by reverend Thomas James Conaty and still remains at the top today. While you’re up here, take the time to enjoy the 360-degree view from both the cross and flagpole sides of the summit. There’s also a rail in-between to help you catch another spectacular view of surrounding Riverside and beyond. The view is absolutely breathtaking, and worth soaking in. This is the easy part. Take a left on the paced road and head back down. You’ll cross over the Ben Lewis Bridge you initially went under. Head right, and you’ll end up back at the designated parking area. There are fountains for both people and pets ate the bottom. If you came in via the dirt trail, simply follow the Santa Ana River Trail and you’ll return to Carlson Park. Mount Rubidoux is just one of the many scenic hikes you can take in the Los Angeles area. In-between these natural locales rests Altana, a respite enriched with resort-style amenities nestled on an acre of private, open space. Envision the perfect context to recharge and revitalize, a resort-like playground to call home, and you can imagine life at Altana. Every moment becomes a restorative escape through extraordinary features and amenities, each of which are meticulously designed to enhance your sense of living. Expansive rooftop pools, a beautifully landscaped zen garden, and Italian marble accents create a palace of comfort and luxury. Experience the perfect context to recharge and revitalize. Live, entertain, and rent with joy and ease. Welcome to Altana, an apartment respite for everyday California life.